Halloween & Day of the Dead with Vacaya in Mexico! 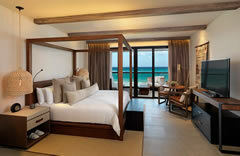 VACAYA completely reinvents the all-LGBT all-inclusive resort experience with the 5-star UNICO Riviera Maya. 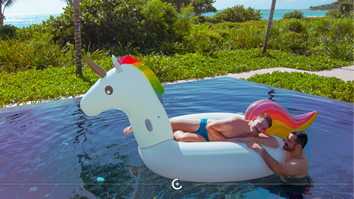 As the newest member of The Leading Hotels of the World, UNICO offers a level of luxury and inclusions never before seen in the world of all-gay travel. 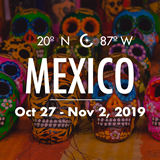 Throw in Halloween and Mexico’s Day of the Dead and this exclusive 7-day all-gay resort holiday experience is without compare! 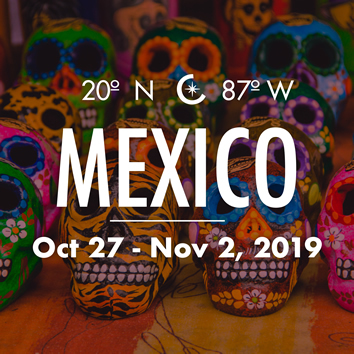 Redefining all-inclusive means creating an entirely new kind of immersive experience, one that offers an unfiltered view of modern Mexico and a deep connection to this magical region. 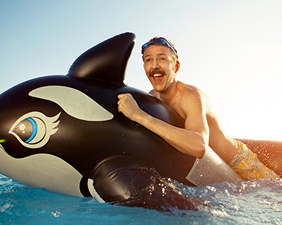 VACAYA Oasis at UNICO is a one-of-a-kind gay adults-only, all-inclusive vacation experience. Are you ready? VACAYA is pulling together the world’s greatest LGBT and straight allied entertainers to offer a stellar line-up of talent in our inaugural season. The resort, now one of The Leading Hotels of the World, was born out of a desire to create an entirely new category of all-inclusive – one defined by relaxed luxury and cultural immersion. At UNICO, you’ll meet modern Mexico face-to-face and experience rare access to the region’s most exciting locales and lesser-known wonders. Location is at the heart of the VACAYA experience at UNICO, with our ambition to immerse guests in the region’s beauty and culture. Through a staff of local experts, guides, artisans, and specialists, we are able to showcase the true heart of the Riviera Maya. At UNICO Riviera Maya we embrace the local, from the food and drink, to the spa treatments, to a selection of curated adventures. There is no lack for comfort, with custom bath amenities, a fully equipped fitness center, 24-hour room service, and a personal Anfitrión – replacing the traditional butler – to serve as your local host. It’s a completely new standard for the all-inclusive all-LGBT+ vacation. Dining at UNICO is not a singular experience, but rather a multi-sensory adventure, with constantly changing tastes, textures, and sensations. While locally-sourced ingredients are a staple at every restaurant and bar, the offerings are a diverse mix of international flavors. The restaurants vary from elevated fine dining to casual beachside buffet. Similarly, the cuisine ranges from simple and healthy to wonderfully indulgent. 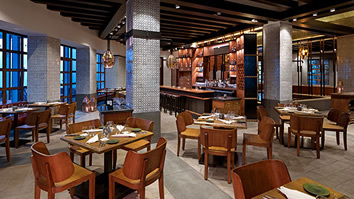 With a wealth of carefully executed options, and an exciting rotating chef concept, UNICO is a haven for foodies. To more closely connect with the culinary innovations of modern Mexican cuisine, UNICO implemented a rotating chef program at Cueva Siete. The first to head up the kitchen is Chef Christian Bravo. Born and raised in Puebla, Chef Bravo has cooked all over Mexico and Spain, and even competed on Top Chef Mexico. Stay tuned for details of the next celebrity chef in UNICO’s Cueva Siete line-up! This restaurant is a love letter to the romantic coastlines and flavors of the Mediterranean. UNICO’s most elevated dining experience, Mi Carisa focuses on the traditions and practices of coastal Italian cuisine. That culinary heritage is most deeply honored in the form of a beautiful wood-burning oven, imparting a smoky flavor to everything that passes through it. The warm, intimate setting lets each bite convey a sincere affection for the coastal Italian kitchen. 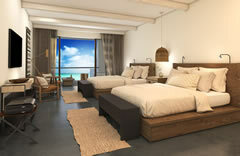 Incorporating the hotel’s coordinates into its name, this casual beachside venue aims to capture the heart of UNICO. The 20.87 dining experience shifts throughout the day: from a bountifully diverse morning buffet – think fresh juices, eggs to order, and house-baked Mexican pastries – to an ever-revolving selection of international favorites for lunch, and classic grilled choice cuts of steak and fish in the evenings. Named for the seven origin caves of Mayan mythos, Cueva Siete – or Cave Seven – derives its inspiration from all that is Yucatecan. This regionally-focused concept aims to harness the mysticism and reverence of Mayan culture, serving dishes rooted in Mexican flavors and traditions. UNICO’s mixologists offer tantalizing pre-dinner drinks here at the restaurant’s comfy bar. Café Inez is UNICO’s own take on European café culture: an important social gathering setting, often a stopping off point in between activities. A way to refuel, rejuvenate, and recharge. 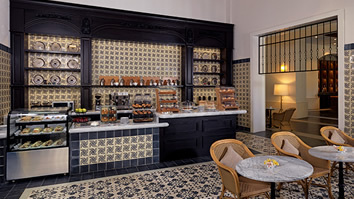 Fresh juices, coffee, tea and baked goods are served in the morning while the menu transitions to sandwiches, paninis, and meal-sized salads for lunch and dinner. While Mura House draws flavors and techniques from throughout Asia, with a concentration on Japan, its cuisine is guided by three principles: the harmony of flavor, precision through preparation, and quality of ingredients. 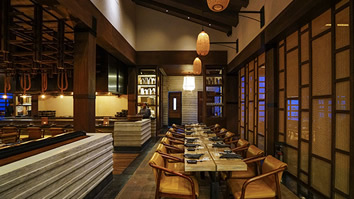 The restaurant aims to achieve a balance between tradition and uniqueness by bringing together three different styles of Japanese cuisine – teppanyaki, yakitori, and sushi. 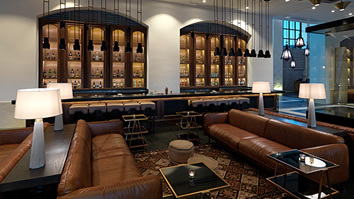 Meticulously crafted cocktails and a selection of top-shelf spirits can be found at both of UNICO’S main lounges, while the café sports a variety of juice creations. The energy shifts as the evening darkens to night with live performances, late-night snacks, and one-of-a-kind VACAYA programming. When Prohibition took hold, the thirsty took off. Many of the best bartenders left for Cuba and the vibrant lure of its nightlife, triggering a Cuban cocktail renaissance. There was glamour, plenty of local rum, and world-class cigars. Palmera Lounge picks up where this intoxicating storyline leaves off: a new take on the classic, high energy Cuban clubs of the 40s with expertly crafted cocktails, bright, inviting design, boisterous live entertainment, and a cigar bar. Bar Balam is UNICO’s day-through-night cocktail bar, radiating warmth, while calling to mind the mystique of hidden-door cocktail dens of yore. Balam (which translates to jaguar in Mayan) is a powerful spirit in the ancient Mayan tradition – a divine symbol of strength and a protector of fields. This sense of strength and boldness infuses the drinks which present an insightful Mexican take on classic cocktail tradition. UNICO’s holistic fitness program is designed to adapt to your personalized routine. 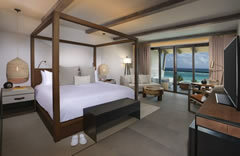 The resort offers personal training sessions, meditation and yoga, beachfront classes, and a state-of-the-art gym. A full schedule of classes and fitness activities will be available to you through the UNICO app, downloadable from the App Store. The full-service Esencia Spa caters to body, mind, and spirit through a range of luxury spa treatments, UNICO signature treatments, and locally-inspired beauty rituals. A fully-equipped hydrotherapy facility and a wide variety of natural ingredients help create an immersive relaxing environment. 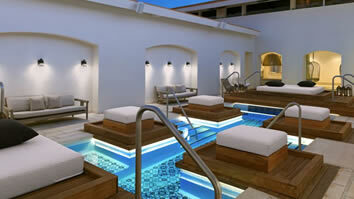 UNICO has redefined the all-inclusive experience by offering the unexpected. Your stay includes select spa and beauty salon treatments* plus all the amenities of a luxury boutique hotel, combined with the comfort and convenience of an all-inclusive. A session at UNICO’s full-service beauty salon or barber shop can be booked via appointment once you arrive at the resort. A manicure or pedicure at the salon is an ideal afternoon indulgence, while the barber shop offers its own kind of relaxing luxury between the complimentary beer and bourbon cart, and large, wall-mounted flat screen TV. All-inclusive resorts offer an amazing value for any cost-conscious traveler, but UNICO takes those inclusions to a whole new level. Gone are the days of simply including food and drinks. VACAYA Oasis’ partnership with UNICO literally breaks the mold and sets an all-new standard in value. 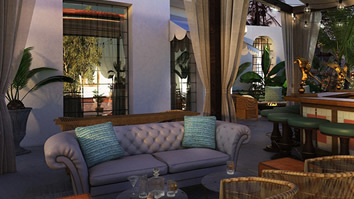 • An extensive, expertly-curated selection of spirits, accented by a mixologist-driven cocktail program. Premium spirits ordered by the bottle incur an additional charge. *You pay only a 20% service fee for selected inclusions. Think of that service fee as a built-in gratuity for the service. Each inclusion has a set retail price from which that 20% service fee is calculated. For example, if you choose a 50-minute massage with a retail price of $180, you’d pay only a $36 service fee for that treatment. An $80 excursion? You’d pay only $16. Welcome to UNICO Riviera Maya! 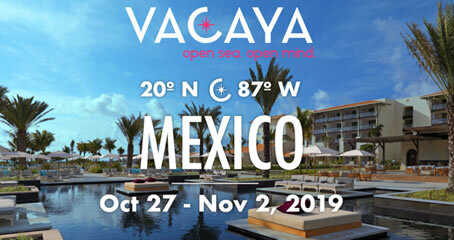 VACAYA makes history as this 5-star resort’s first LGBT event! 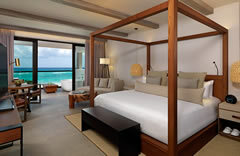 Set on the stunning white beaches of Riviera Maya, UNICO immerses you in the culture of the region, from the locally-inflected cocktails and cuisines to the art in the rooms. 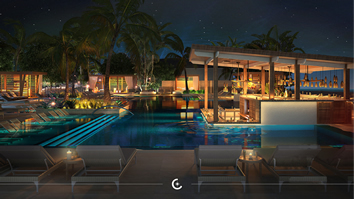 Three unique pools and a holistic spa and wellness center drive home a sense of relaxed luxury, while exciting VACAYA pop-up events insert a touch of spontaneity into the experience. The choices for today abound! Will you take advantage of one of the included excursions and head off to Tulum to explore the ancient beachside ruins? Or will you explore the crystal clear waters of The Grand Cenote? Looking for something a little more relaxing? If the pool’s your choice, be sure to download UNICO’s web app so you can have complimentary drinks and food delivered directly to your pool-side chair. Oh yes, that’s a real thing. Our first T-Dance of the week takes place this afternoon, but it’s not like any you’ve seen before. Expect the unexpected! 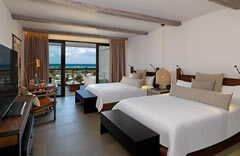 The Riviera Maya sun shines brightly today as everyone settles in to the luxury of UNICO powered by VACAYA. 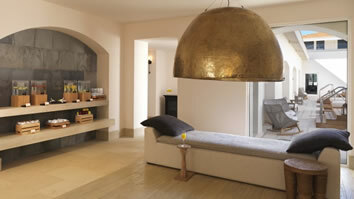 Is today the day you finally experience one of Esencia Spa’s included treatments? Or are you looking to expand your friend circle through one of our planned social mixers? Here, you literally can have it all! We’ve reached the midpoint of our time here in Mexico. Where does the time go? UNICO’s nearly unlimited inclusions, adventure, rejuvenation, and connections are waiting to be discovered around every corner. Are you traveling with a best friend or have you made a new one this week? Come to our “Besties Sunset Social” later this afternoon, and share this special VACAYA moment with your closest friend(s). It’s Halloween and VACAYA & UNICO are ready with both tricks AND treats! Tonight, don’t miss our Halloween Costume Eleganza Extravaganza poolside before we dance the night away. You’ll have the chance to walk away with the soon-to-be-coveted “ZZOLO” Award. We know… you have NO IDEA what that is, but you will soon enough. And we promise… it’s worth it! Parting is such sweet sorrow. Like Día de los Muertos before it (which wraps up at sunrise this morning), our time here in Mexico officially comes to an end today. Many of you will, of course, extend your stay here at UNICO and other hotels in the area, while many others will return home today. Whether you stay here or head home, we wish you the safest of journeys. *All tours are subject to change. Not all tours are available every day. Tours are capacity controlled. A 20% service fee applies to all tour bookings. Admire one of the Seven Wonders of the World on a trip to Chichen Itza. Enjoy a guided tour of the archaeological site and learn about famed Mayan buildings like the Kukulcan pyramid. Also included is a tour of the Ecotourism Center. The trip ends with a refreshing a swim in a cenote followed by a tasty meal of local Yucatacan food. Entrance to sites and center included. Drinks are not included. This is a great opportunity to have a close encounter with these beautiful mammals. Get to know the dolphins better, and choose from six different interactions, including kissing, hugging, swimming, or even just waving at the dolphins. Equipment provided. Nature lovers will be enchanted by the exotic Garrafon Natural Reef Park, situated on the southern point of Isla Mujeres. The reefs, cliffs, and breathtaking views of the Caribbean Sea will leave you spellbound. You’ll have access to the VIP Lounge, which includes a premium open bar, buffet lunch, a pool, Jacuzzi®, lounge terrace, and restaurant. It’s the perfect spot to relax after exploring. Equipment provided. Underneath the moon and starlit sky, soft saxophone melodies and the whispering waves of the lagoon set the tone for a romantic evening aboard the Colombus Galeon. 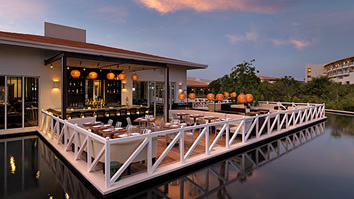 After a savory three-course dinner, take a stroll around the lagoon while sipping a cocktail or two from the bar. Enjoy a mix of history, nature, and seascapes around Tulum, one of the most unique areas in Riviera Maya. The journey takes you through Coba, and its thick Yucatan jungle as you discover the mysteries of one of the last areas occupied by the ancient Mayans. The archaeological site is considered one of the most impressive in the world. Feel, touch and experience a storied part of ancient Mexican history. Drinks not included. Head out aboard an army truck to Selvatica Extreme, the longest and fastest circuit on the peninsula, boasting 12 different high-speed zip lines. After gliding between treetops on a canopy tour, enjoy the crystal-clear waters of a nearby cenote where you can swim and even do a little more zip lining. Afterward, enjoy a lunch of popular local dishes and aguas frescas, a refreshing Mexican staple. Equipment provided. Enjoy a unique snorkeling experience exploring an underground river deep within the jungle. Before snorkeling though, take a thrilling zip line ride above the jungle canopy, finishing with a rappel down into the jungle near the river. As you snorkel through the underground river you’ll see nature’s fascinating course up close. Recharge after with a lunch of local food and drink before you return. Climbing and snorkeling equipment will be provided on site. Get dropped off deep within the Mayan jungle, and experience it from above with an exciting zip line ride over the canopy. At the end of the line, rappel into the jungle to see one of its most striking features: a freshwater underground river. After swimming through a series of awe-inspiring underground caverns, enjoy a lunch of local cuisine before heading back. Equipment will be provided on site. 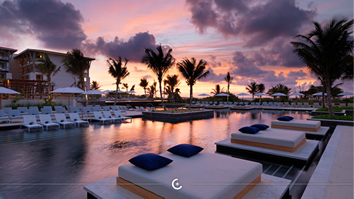 UNICO also offers five luxury signature tours. Each tour has been exclusively designed for you with specially added details and amenities to supplement the adventure. UNICO’s Vacation Makers have access to special hours and strategically schedule each tour so that you can enjoy a more unique, secluded experience. Swim, canoe, zip line, take in the sights, and get a taste of the local culinary offerings. Arrive at Tankah and enjoy a snack of seasonal fruits before heading out to “The Cave and the Piranha” cenote. After a relaxing swim, walk to the Naval Cenote where you’ll grab a canoe and paddle past the beautiful scenery. Finally, take a dip and cool off at the “Cenote Azul” before having a meal of traditional Yucatecan specialties. Discover some of the most stunning natural wonders of the Yucatan peninsula – the extraordinary cenote. Cenotes are natural sinkholes that have exposed the groundwater underneath, and make for a refreshing and exhilarating subterranean swim. Explore natural underground pools with crystal-clear waters in the heart of the jungle. Swim through caves and tunnels where the impressive stalactites and stalagmites will leave you breathless. Duration is 2.5 hours. Experience an enchanting sunset on this sunset sailing excursion. Sail along the stunning Riviera Maya coastline aboard a luxurious catamaran. Relax with a cocktail in hand from the open bar, and feel the breeze in your hair as you nibble on delicious canapés. Finish off the evening with a glass or two of your preferred wine. Duration is 2.5 hours. Embark on a guided visit to the magnificent ancient ruins of Tulum. This thirteenth-century archaeological site is full of both natural beauty and man-made splendor. 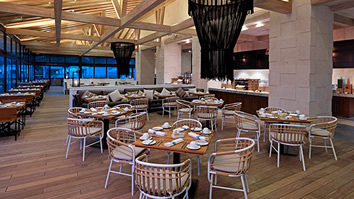 After learning about Mayan culture, grab some lunch and maybe a few specialty drinks at a beach club. Then take things below sea level with a snorkeling trip at the “Los Cañones” reef. Equipment provided. One of the earliest and longest inhabited ancient Maya sites, Muyil was once a busy Caribbean trade route for jade, chocolate, honey, and salt. This tour takes guests through the ruins, along two lagoons, and into the jungle for a hike. After, cool off with a relaxing float down an old Mayan channel river. Finish the tour at a beach club for lunch accompanied by a specialty drink. Duration is 5.5 hours. Inspired by the provincial charm and open spaces of the classic Mexican hacienda, the VILLA 20°87° offers a contemporary design born from local heritage. Besides unparalleled ocean views, the 1,996 sq ft villa has two master bedrooms, a full kitchen, dining room, living room, powder room, a complete bar, an expansive terrace with two exterior hydro spa tubs, and artwork curated from local up-and-coming Mexican artists. Ocean Front View. Maximum occupancy is 4 guests. 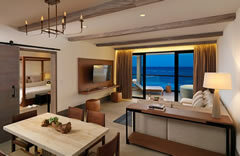 Cultivating a feeling of relaxed luxury, the rustic-meets-modern the two-bedroom Estancia Suite includes a large living room, expansive terrace with two outdoor hydro spa tubs, and sweeping views of the ocean. Wood, local art and handcrafted accents come together in the design to evoke a modern sense of the region. 1894 sq.ft. Ocean View. Maximum occupancy is 6 guests. 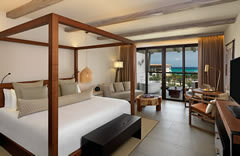 Cultivating a sense of relaxed luxury, the rustic-meets-modern Estancia Suite includes a large living room, expansive terrace with an outdoor hydro spa tub, and sweeping views of the ocean. Wood, local art, and handcrafted accents come together in the design to evoke a sophisticated take on regional design. 1270 sq.ft. Ocean View. Maximum occupancy is 2 guests. Cultivating a sense of relaxed luxury, the rustic-meets-modern Estancia Suite includes a large living room, expansive terrace with an outdoor hydro spa tub. Wood, local art, and handcrafted accents come together in the design to evoke a sophisticated take on regional design. 1270 sq.ft. Tropical View. Maximum occupancy is 2 guests. Warm and elegant, with hand-crafted touches, the first-floor Alcoba Swim-Up Pool Rooms offer an ideal setting of relaxed luxury with an exterior swim-up pool and elevated lounge chairs. Art features by local artists and accent pieces fabricated from local materials help curate a contemporary impression of the region. 624 sq.ft. Maximum occupancy is 2 guests. Perfectly situated to offer panoramic views of the ocean, the spacious and bright Alcoba Ocean Front boasts an exterior double hydro spa tub and exterior lounging area that offers a relaxing nook to take in the landscape. The elegantly designed interiors incorporate warm woods and sisal rope for a clean, modern take on classis Mexican materiality. 624 sq.ft. Ocean Front View. Maximum occupancy is 2 guests. Perfectly situated to offer panoramic views of the ocean, the spacious and bright Alcoba Ocean Front boasts an exterior double hydro spa tub and exterior lounging area that offers a relaxing nook to take in the landscape. The elegantly designed interiors incorporate warm woods and sisal rope for a clean, modern take on classis Mexican materiality. 624 sq.ft. Ocean Front View. 2 Double Beds, Maximum occupancy is 4 guests. As a PURE® room, these accommodations are specially designed to provide a better night’s sleep, especially for allergy sufferers. Incorporating clean lines and natural materials, the spacious Alcoba offers views of the hotel, an outdoor spa tub and exterior lounging area where you can relax and enjoy the stunning panorama. 624 sq.ft. Partial Ocean view. Maximum occupancy is 2 guests. Incorporating clean lines and natural materials, the spacious Alcoba Ocean View offers unobstructed views of the ocean, an exterior double hydro spa tub and exterior lounging area where you can relax and enjoy the stunning panorama. Touches of sisal rope and hand-crafted local pieces are prominent design elements, helping to give the space a modern sensibility. 624 sq.ft. Ocean View. Maximum occupancy is 2 guests. Incorporating clean lines and natural materials, the spacious Alcoba Ocean View offers unobstructed views of the ocean, an exterior double hydro spa tub and exterior lounging area where you can relax and enjoy the stunning panorama. Touches of sisal rope and hand-crafted local pieces are prominent design elements, helping to give the space a modern sensibility. 624 sq.ft. Ocean View. Maximum occupancy is 4 guests. 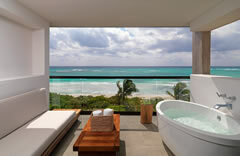 Incorporating clean lines and natural materials, the spacious Alcoba Ocean View offers unobstructed views of the ocean, an exterior double hydro spa tub and exterior lounging area where you can relax and enjoy the stunning panorama. Touches of sisal rope and hand-crafted local pieces are prominent design elements, helping to give the space a modern sensibility. 624 sq.ft. Ocean View. Maximum occupancy is 1 guest. These beautiful Alcoba rooms offer a tropical view, an outdoor hydro spa tub, and exterior lounging area where you can relax and enjoy the outside air. This space has a modern sensibility with touches of sisal rope and hand-crafted local pieces. 624 sq.ft. Tropical View. Maximum occupancy is 2 guests. All prices are per person in $ USD. 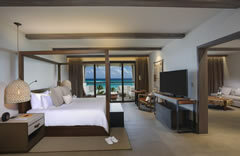 Resort and admin fees are additional 129 USD per person. Transfers from Cancun International Airport (CUN) to UNICO will be bookable starting 120 days before your vacation and cost 66 USD roundtrip. For those guests paying in full at time of booking, your roundtrip airport transfers are included. 25% First deposit per person is required upon booking, Second deposit of 25% is due 240 days before (March 1, 2019), Third deposit is due 180 days before (April 30, 2019). Full payment is due 120 days prior to departure (June 29, 2019). Your initial deposit is due at time of booking. Then, your remaining monthly payments will be calculated using the number of months between your booking and the final payment due date. Payments will be charged on the 15th or the last day of each month (determined automatically depending on the day of the month you book). 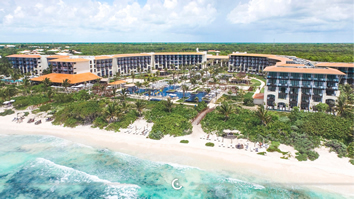 BONUS OFFER: Paid-in-Full Reservations made through December 31, 2018 will receive complimentary roundtrip airport transfers from Cancún Airport (CUN) to UNICO.